With the recent passage and enactment of the Consolidated Appropriations Act, Congress made available $600 million for additional broadband deployment, particularly targeted at rural areas. The funding is to be administered by the U.S. Department of Agriculture’s Rural Utilities Service (RUS) in the form of a pilot program. Prior stimulus funding efforts, in some cases, resulted in money being spent on duplicative construction, both he and other experts say. For this pilot program to be truly successful, the RUS must coordinate with the FCC to prevent overbuilding of USF fund recipients, O’Rielly stresses in a blog. 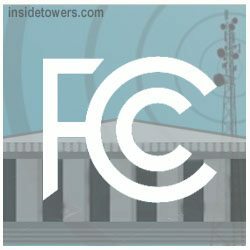 “The FCC has lacked the funding and resources to complete its Remote Areas Fund (RAF) proceeding, which was intended to bring service to the hardest to reach portions of the United States. If the RUS pilot program can reach into these RAF or RAF-like areas, then the country will be much closer to achieving the objectives of universal service,” says O’Rielly.